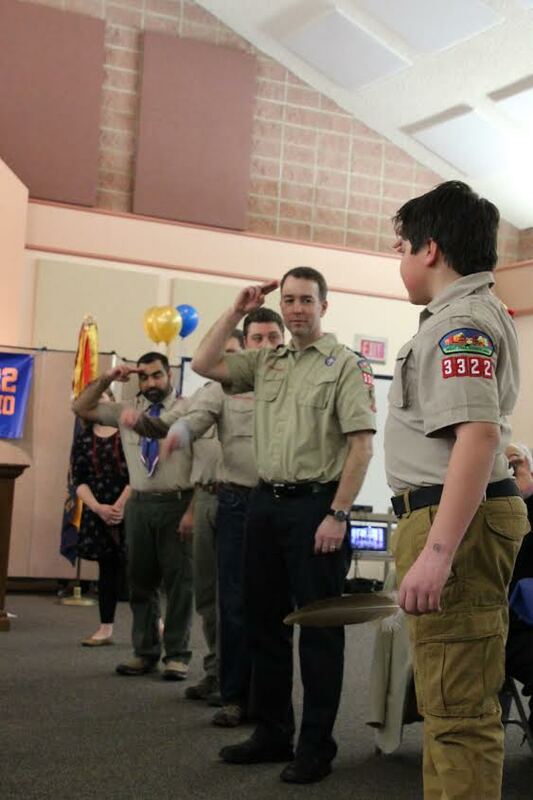 HUDSON — Cub Scouts from Pack 3322 held their annual Blue and Gold Banquet on Saturday, March 18th at Hudson United Methodist Church to celebrate each scout’s rank advancement and the crossover of fifth graders to boy scouts. 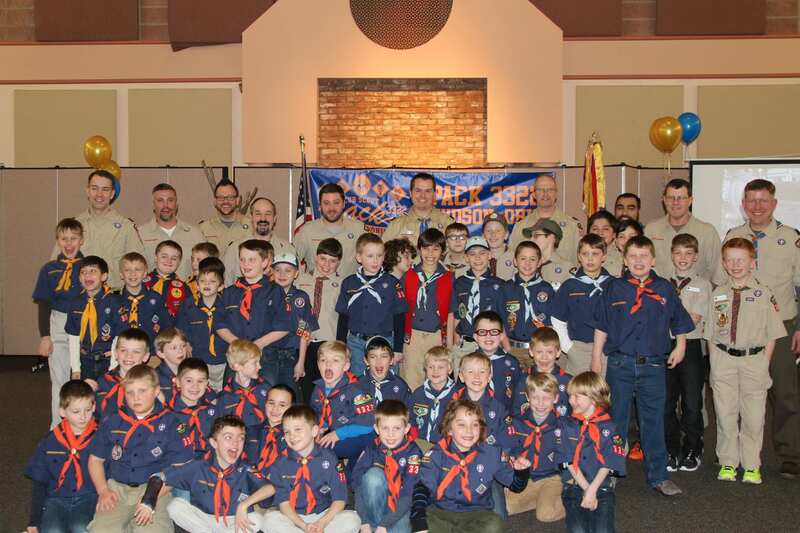 Based in Hudson, Ohio, Pack 3322’s annual Blue and Gold banquet drew over 170 attendees to celebrate the achievements of 51 cub scouts ranging in age from first through fifth grade. 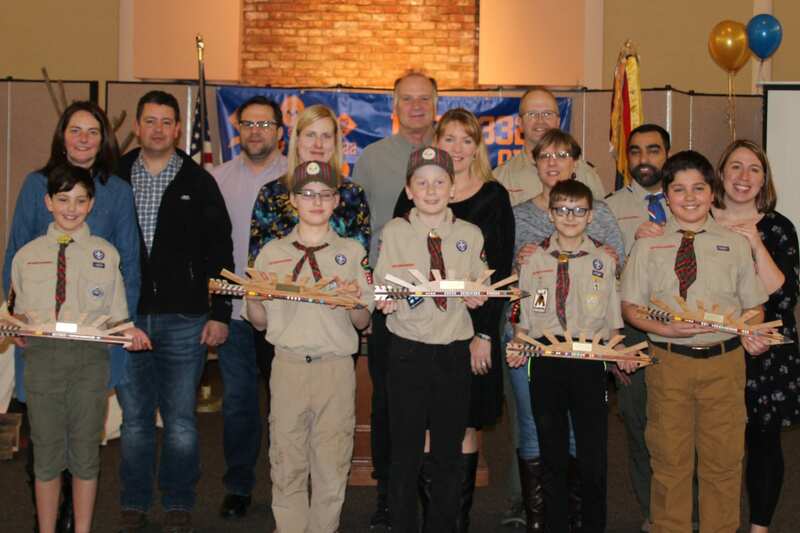 The banquet also recognized the pack’s fifth grade scouts who earned the Arrow of Light, the highest award in cub scouting, and who crossed over from cub scouts to boy scouts. Cub Scout Pack 3322 is located in Hudson, Ohio and is a member of the Moecomdws District of Great Trail Council of the Boy Scouts of America. The Pack has more than 60 active scouts ranging from first through fifth grade.